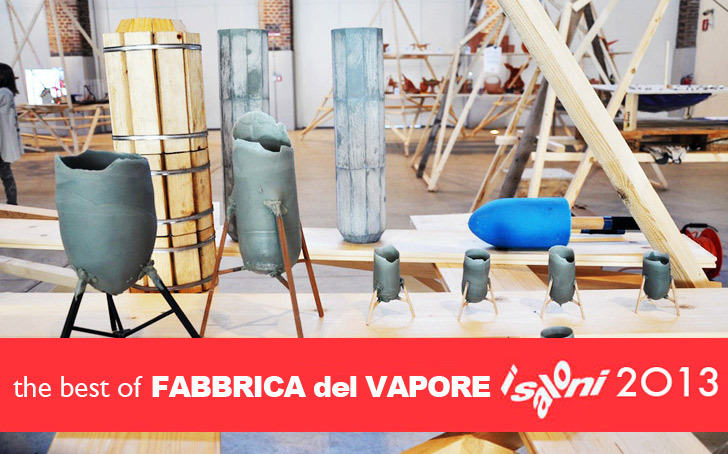 At this year's Salone del Mobile, lots of exciting presentations could be found at Fabbrica del Vapore, an old steam train and tram factory converted into a cultural hub. 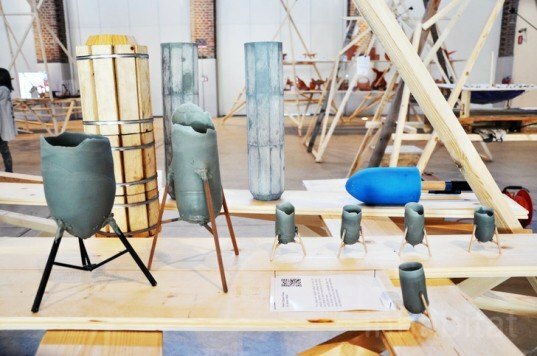 Milano Makers and many other designers presented their experiments with new and sustainable raw materials, and we were on the scene to check them all out. Keep reading for some highlights from the show. Good vibes at the Fabbrica del Vapore, a creative hotspot, that seemed to be fully dedicated to green design this week. 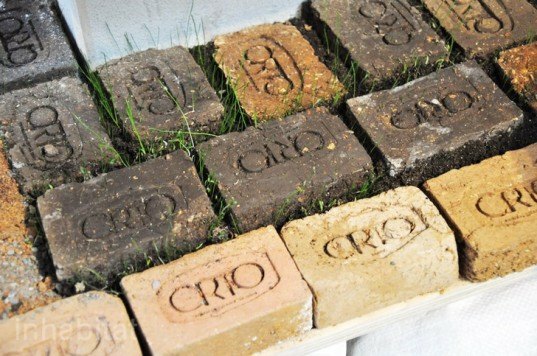 Tommaso Mancini presented the Ortobrick, a clay soil brick containing seeds of herbaceous plants that can be used for guerilla gardening. For people that lack time and the green thumb needed to tend to a full garden, Margeritha del Piano offers a solution. Her Take Away Landscapes are tiny gardens in a box, made in one of her workhops. 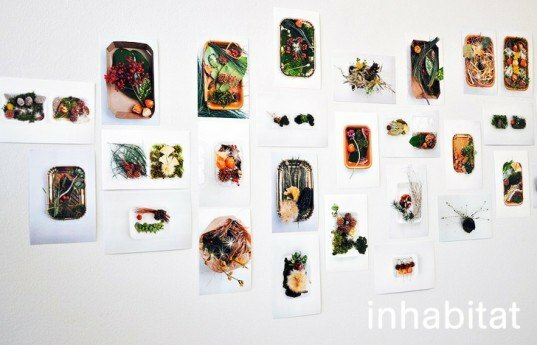 These pieces of art are photographed, and gardeners-to-be can frame these pictures and enjoy them at home. 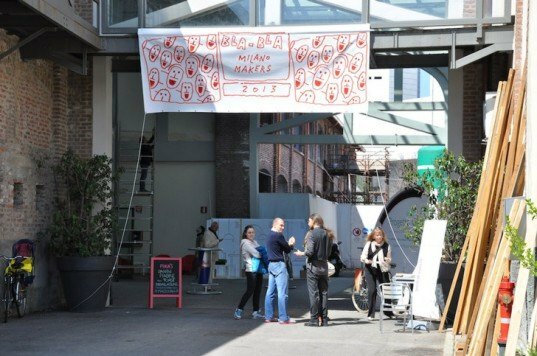 Milano Makers is a new non-profit organisation, stimulating local production in Italy and international collaboration between designers. Ricette in Resina Naturale is one of the projects on show and is initiated by Carmine Deganello. 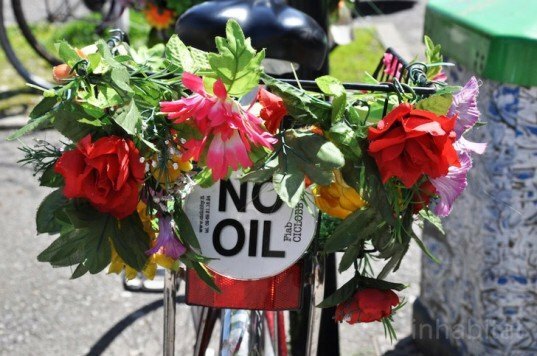 Designers were invited to experiment with a new type of natural resin. 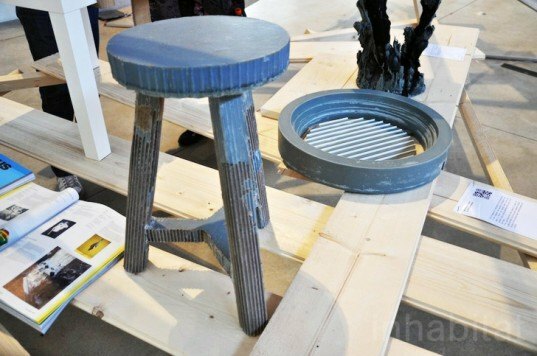 Dutch designer Roel Huisman experimented with one adjustable mold that could be used to create a full range of tableware. Sjoerd Jonkers also took part in the workshop at the Amsterdam Fablab, where all designers experimented with this new type of resin, made of beeswax, pine resin and marble powder. 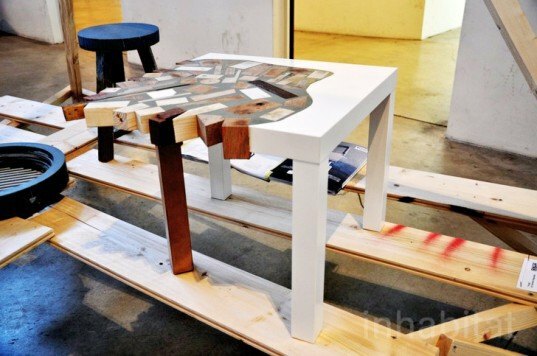 Initiator of the project, Carmine Deganello, used his resin recipe on one of Ikea’s bestsellers, creating an inlay effect with the resin. Most designers that experimented with the resin, made new versions of their own designs. 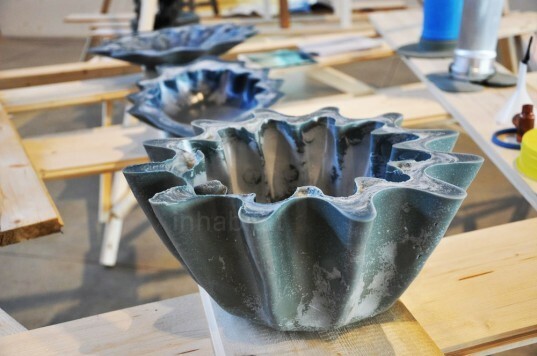 Jeroen Wand recreated a vase originally executed in gypsum. Designer Pepe Heykoop used the resin material as a filler for a new range of leather candelabras, recently featured on Inhabitat.